More about Marimekko Jaspi Navy / Yellow Oven Mitt Slip on something practical and beautiful while baking your family's favorite dish. This apron is patterned with Aino-maija Isola's minimal interpretation of botanical prints in fresh shades of orange, pink navy, and olive. Don't be worried to cook with a white mitt; the 100% machine-washable cotton is easily kept crisp. 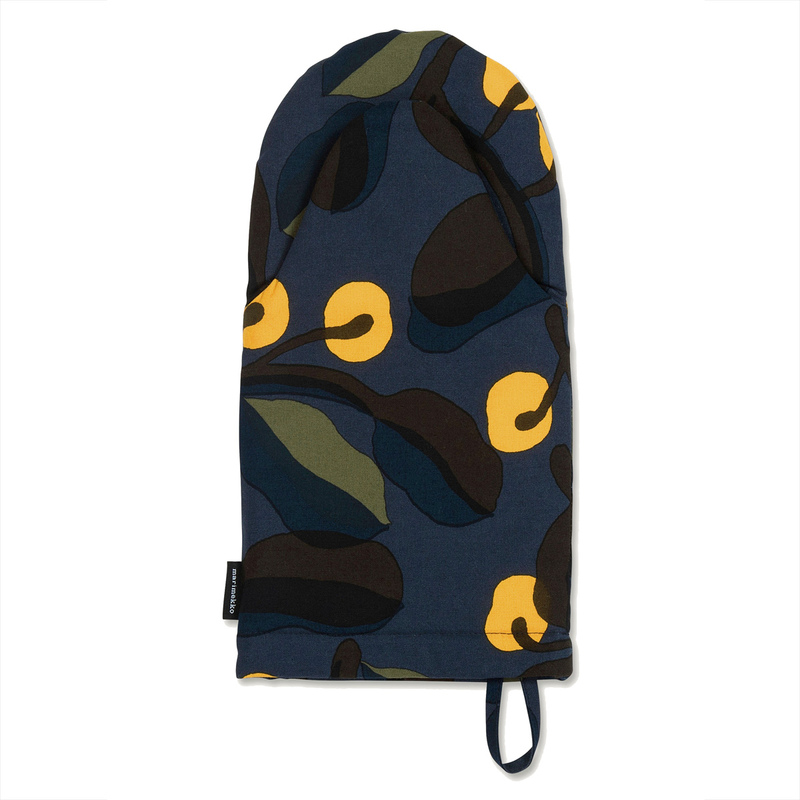 The oven mitt is padded perfectly to shield hands from heat while remaining flexible. MATERIAL: 100% Cotton. Polyester padding. this size/shape works for both me and my husband.